Appraisal Problems-Go With A Local Lender To Avoid Them! 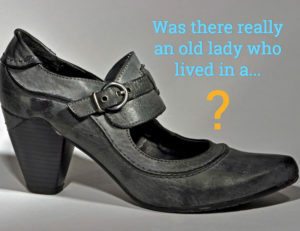 Is The Old Lady In The Shoe Real? Ask About The Appraiser, Or Get Screwed: Part II. Ask About The Appraiser, Or Get Screwed! Buying A Home In Falls Church VA, And The Appraiser Comes From Cumberland MD?? I am working on an interesting loan that will make for a good case study someday, and I think homebuyers and Realtors will find it interesting too. I am doing a loan for a homebuyer to buy a single family detached home in Falls Church, Virginia. The sales price was a little over $500,000 and the new loan is a Conventional Fixed rate 80% loan-to-value loan, which of course means we are subject to the HVCC rules. So I ordered the appraisal from the bank’s Appraisal Management Company (AMC). HVCC, the acronym for “Home Valuation Code of Conduct”, is the result of a legal settlement between NY attorney general Andrew Cuomo and Fannie Mae & Freddie Mac to assure that appraisers would not be unduly influenced by lenders in the appraisal process. Before this ruling, mortgage brokers and bank loan officers would order the appraisal for a new home loan from any licensed appraiser, usually one they knew professionally for many years. After this ruling, appraisals are not allowed to be ordered by the mortgage broker or loan officer, the bank now orders them from an “Appraisal Management Company” (AMC). Mortgage brokers and loan officers are no longer allowed to have any direct contact with the appraiser. Appraisers are supposedly being more scrutinized by the AMC’s. The law became effective on May 1st 2009 and has been causing problems ever since for buyers, sellers, and industry professionals across the country.